Did you know September 13th is National Ants on a Log Day? Really! Officially, it's the second Tuesday in September, which this year happens to be the 13th. 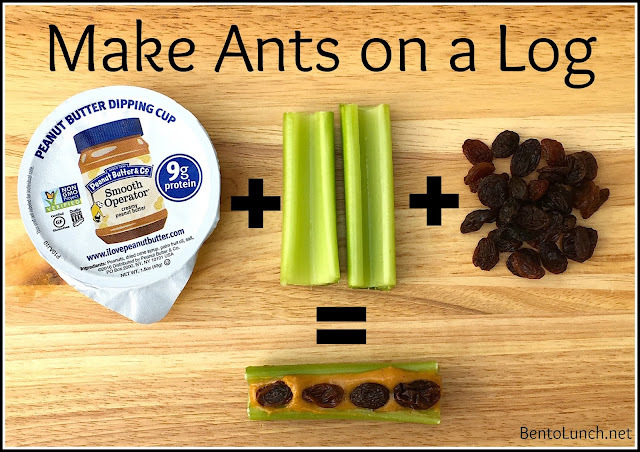 This day recognizes the classic healthy Ants on a Log snack--crisp celery, coated with lots of yummy peanut butter, then topped with sweet raisins. I'm getting hungry just thinking about it. 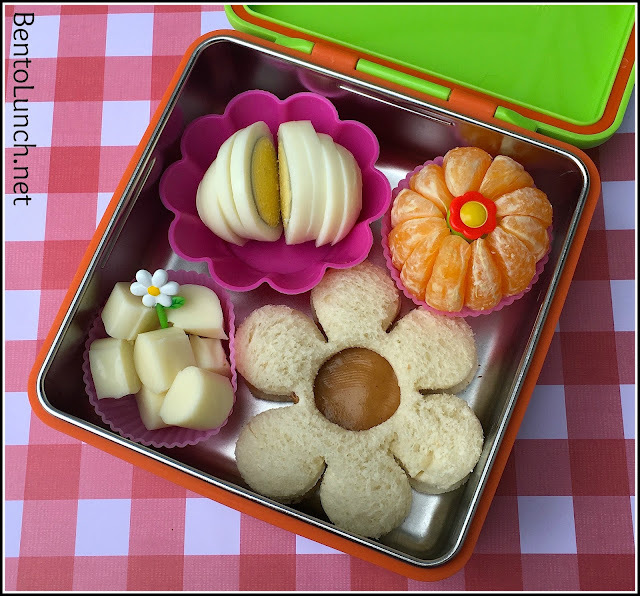 It's also a great lunchbox item and perfect with a bento lunch. We love to incorporate fruits and veggies into our lunches and Ants on a Log is always a kid favorite. And where's there's "ants on a log", there must be flowers, so it works for a totally themed lunch. Wash your celery, the slices it into pieces, about as long as your bento box. Add a layer of peanut butter to the curved inner part, stopping at both ends. 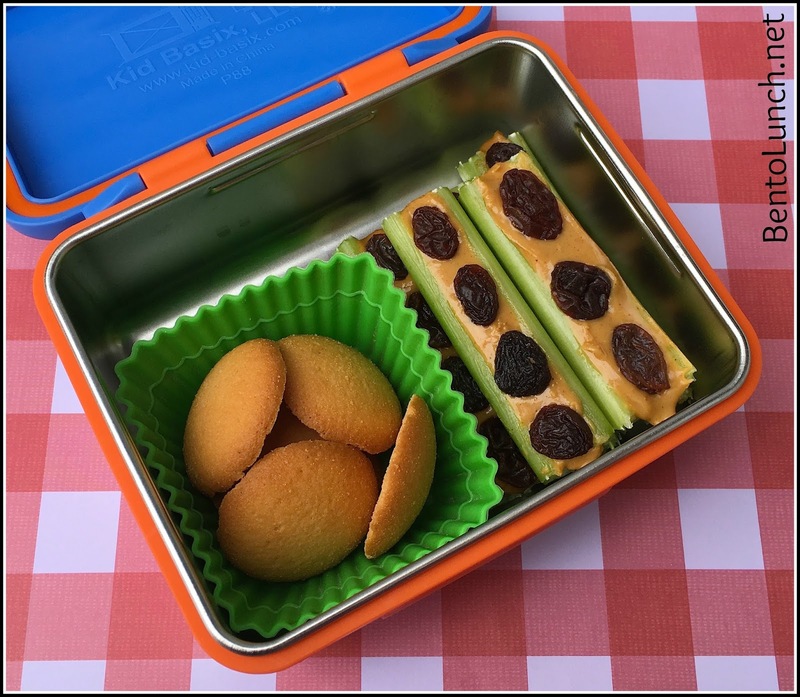 Place your raisins along your log, pressing them into the peanut butter to stay put. Cut a large flower, using a cookie cutter, from two slices of bread (save your crusts to make bread crumbs or breakfast egg in a hole). Cut a small center hole in the middle of one slice of bread, set it aside. On the other slice, spread peanut butter over the whole flower, then put a light layer of jelly on the petals (but not the center). Top it with your other slice of bread so the peanut butter shows through the center as a flower middle. Peel your clementine and separate it into sections. Tuck your clementine into a muffin cup and add a cute pick to the center. Peel and slice a boiled egg, place in a muffin cup to separate from other food. Slice cheese into small cubes and add into another muffin cup. Choose a small treat, like vanilla wafers, to round out the meal. 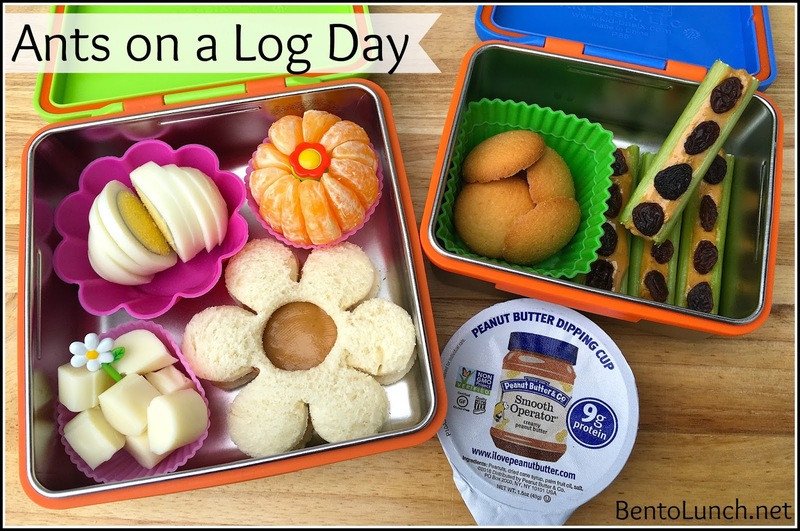 What else would you put in your Ants on a Log bento? Wow you are making some extra nice lunches. I wouldn't do this everyday, but on special days I would. This is amazing! I wish I could make fun lunches like this! This looks beautiful. What sizes did you use for this lunch?